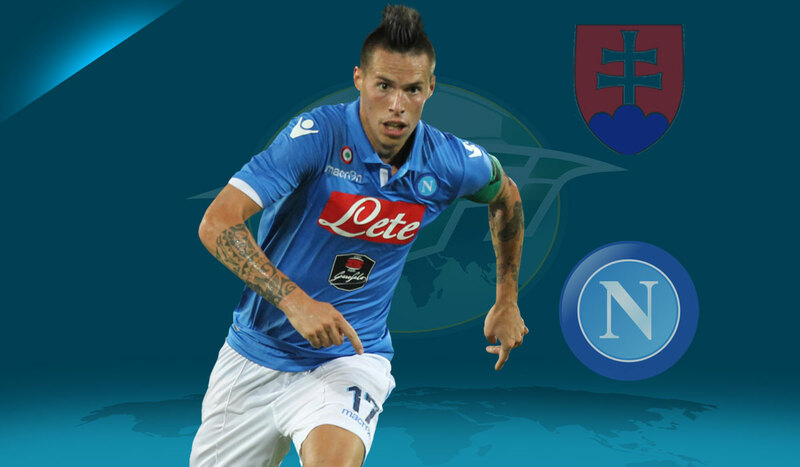 Marek Hamsik - Napoli's Loyal Servant is Redefining "Success"
Marek Hamsik has been at Napoli for almost ten years. By the time anyone reads this he’ll probably have been there for longer. Part of the #WFIFriday series, written by @JDNalton. Hamsik has been playing in Serie A since the age of 17, having started his career in Italy at Brescia in the north of the country. The late Gino Corioni who was the president at Brescia when Hamsik was signed, and when he was sold, once said that he rued the day he let the Slovakian leave the club. “I regret letting Hamsik go to Napoli for such a low price,” Corioni admitted back in 2011. He was responding to rumours that the player he’d brought to Serie A was about to move again, either to AC Milan or to another league altogether. “He’s made the right decision in staying at Napoli because that club want to construct a great side,” he added. The characteristics Corioni speaks of are becoming much rarer in football. Very few players become attached to their clubs, and even fewer embrace the culture in which their club resides. Players today are judged on their FIFA stats, football manager attributes, chances created, passes completed, shot accuracy, expected assists, and a whole host of other statistics which are now at the fingertips of any amateur scout. Hamsik probably fares well in all of these areas too, but this isn’t about raw data, it’s about raw feelings, emotions, and loyalty. Mental attributes are more difficult to measure, and the best scouts have to be good judges of personality as well as being able to measure the technical and tactical aspects of the game. But certain combinations of these mental and emotional attributes are rare, and these are what makes Hamsik “irreplaceable”. Despite numerous attempts to lure him away from Napoli he has remained as loyal to the city and the club as he has to his mohawk. 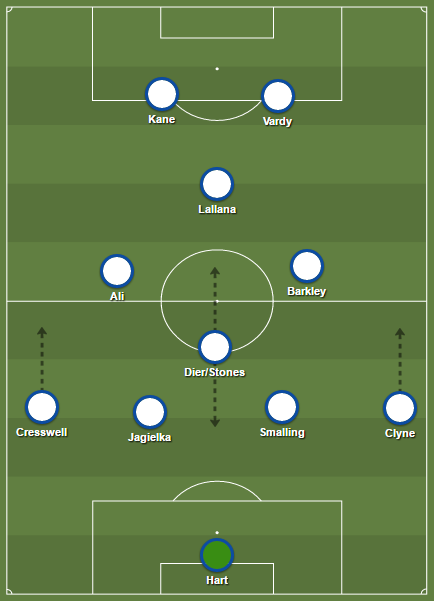 If you support a team in or around the upper echelons of European football, then there’s a good chance that the attacking midfielder will have been linked with your club at some point. He has the quality and ability to play at any level of football. At international level he’s currently third on Slovakia’s all-time top scorers list, and at 29 is likely to be the top scorer in the relatively young football nation’s history by the time he calls it a day. His goal against Russia in Euro 2016 was named as one of the ten best goals of the tournament by UEFA, and performances like this only increase the interest in him and the speculation surrounding his future. After the competition, Slovakia manager Jan Kozak even came out and said that Hamsik should move. But Napoli is no ordinary city and certainly isn’t a small club. It has its rough edges, but also has character, history, and charm, just like the Stadio San Paolo which houses the passionate set of supporters who turn up to support the team and intimidate the opposition. They are the ultimate 12th man. But Hamsik has witnessed the rough side of the city first hand. He’s twice been mugged at gunpoint in his car and on both occasions, once in 2008 and the other in 2013, the attackers requested he hand over his Rolex watch. In 2011 his wife Martina also had her car stolen at gunpoint. These incidents were bigger tests of the player’s loyalty than any advance from AC Milan, Juventus, Real Madrid, or the English Premier League, but he remains at the club for whom he’s scored 112 goals in 444 appearances. At the end of 2016 Corriere dello Sport asked him to comment on transfer rumours linking him to other Italian teams, and in his answer the player just he reaffirmed his love for the club. “I think it is clear that in Italy there will only ever be Napoli for me,” he said. In the summer of 2016 Hamsik signed a new contract at the club which takes him to 2020, meaning that if he sees it out he’ll remain at Napoli until the age of 33. But having given the majority of his peak years to the club surely they wouldn’t begrudge him a taster of football elsewhere. Such is his character, however, there’s always the chance that he simply doesn’t want to move. He might be a rare example of a player who values relative success and status at one club over a constant, sometimes fruitless search for something better elsewhere. It’s often the case that “something better” doesn’t exist, and while staying at one club can sometimes be seen as a lack of ambition, it might merely show that the player’s ambitions are tied to an emotional legacy, rather than monetary rewards or medal hauls. If staying at Napoli has “stunted his career”, as one article on the No 17 recently stated, then maybe it’s time to reassess what a successful career actually entails. At Napoli Hamsik has confirmed with each passing season that he’s one of the best attacking midfielders of his generation. There’s no doubt that he would have won domestic and European honours had he moved to one of the many clubs who’ve shown interest in him, but why should he conform to some preconceived idea of what constitutes a successful career? In his own way, Hamsik is better than those players who’ve shifted around just to claim honours wherever they can. He’ll never be forgotten in Napoli. He sits second on the club’s all-time top scorers list, behind Diego Maradona, and is third on their all-time appearance list behind Antonio Juliano and Giuseppe Bruscolotti. When he does finally leave the club, maybe they’ll buy him a new Rolex.